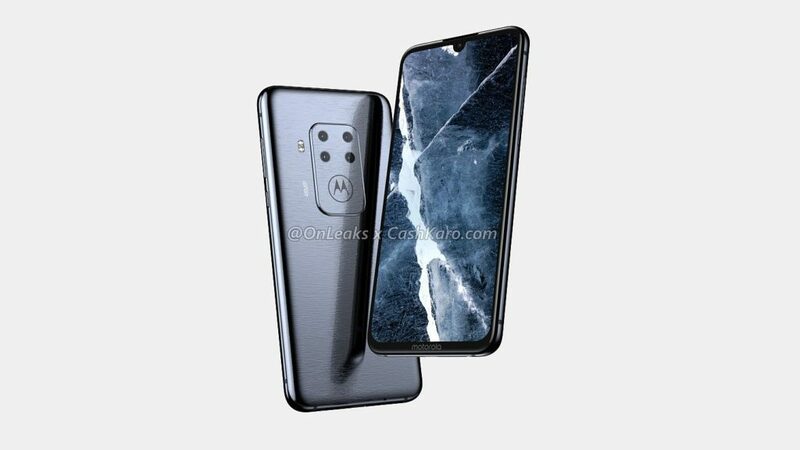 Motorola has been one of the leakiest companies over the past year or so, since we knew details about the Moto G7 series as early as fall 2018. 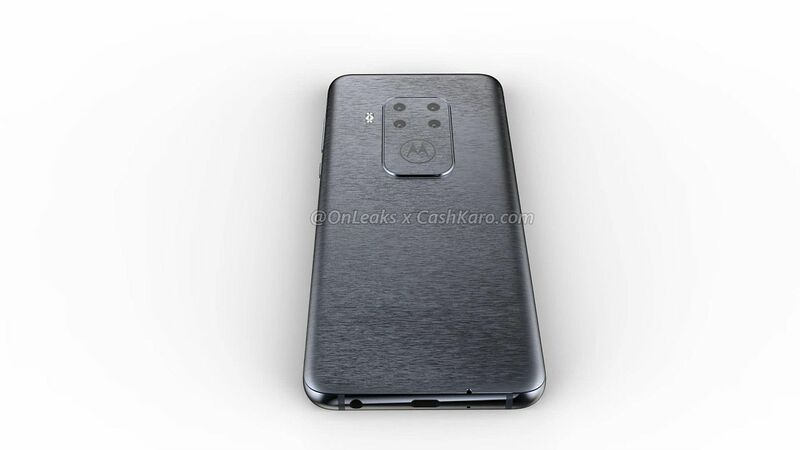 Now we see some fresh renders from @OnLeaks, portraying an upcoming 4 camera phone from Motorola. The device is said to be quite bulky, at 9.8 mm and it’ll definitely have a camera bump. 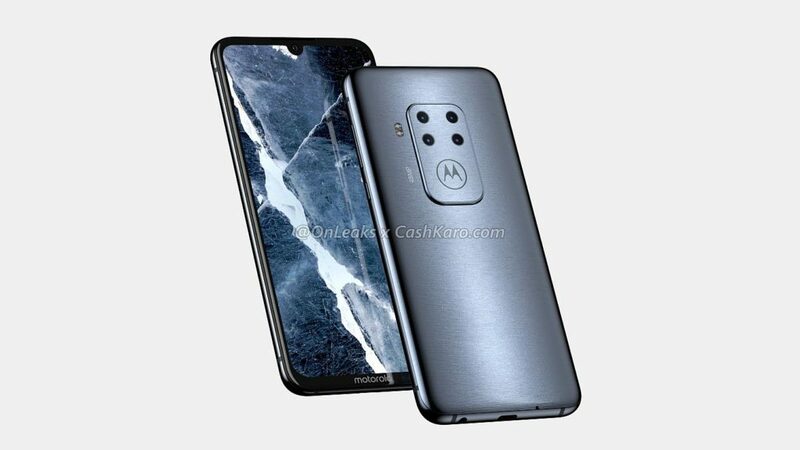 This yet unnamed Motorola phone keeps the general format of a Moto at the back, but adds a metallic texture to the glass. 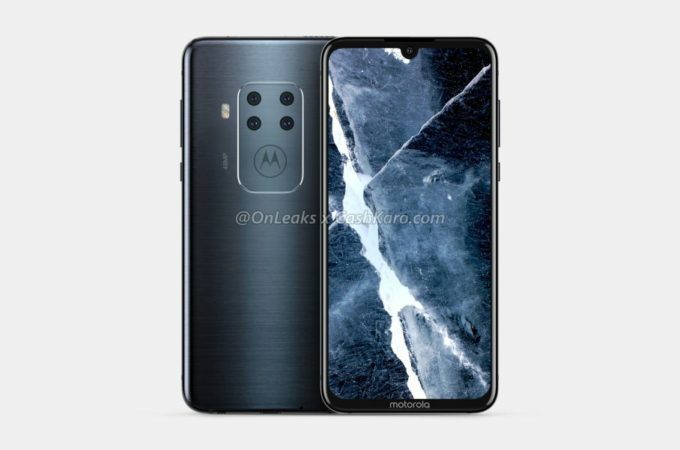 The front reminds me more of a Nokia phone and it sports the new teardrop notch seen on the Moto G7 Plus. I can’t exactly say why Moto decided to elongate the camera module so much, aside from the 4 sensors, including their logo into the part. 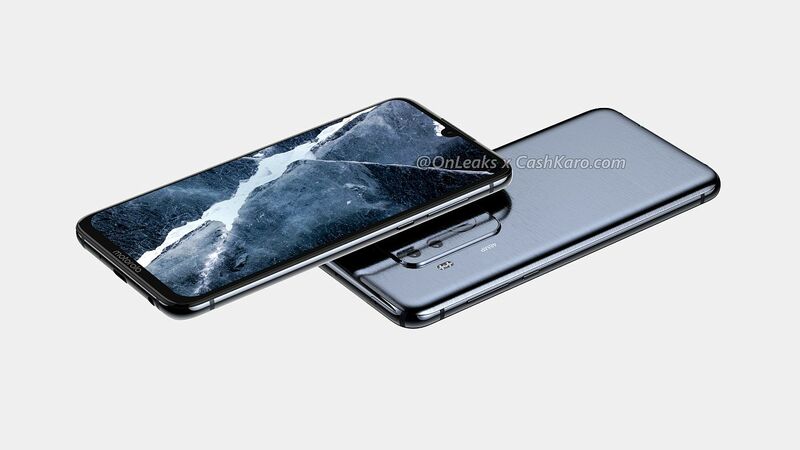 It’s either hiding a component or two or they just wanted not to make a square camera like the one from the Huawei Mate 20 Pro and the one predicted for the iPhone XI. The tipster that provided the info for the OnLeaks/CashKaro renders mentions a 6.2 inch screen here with an in display fingerprint scanner. There’s an audio jack in the mix and an USB Type-C port, but we don’t know much else. I’d predict a Snapdragon 710 CPU inside. 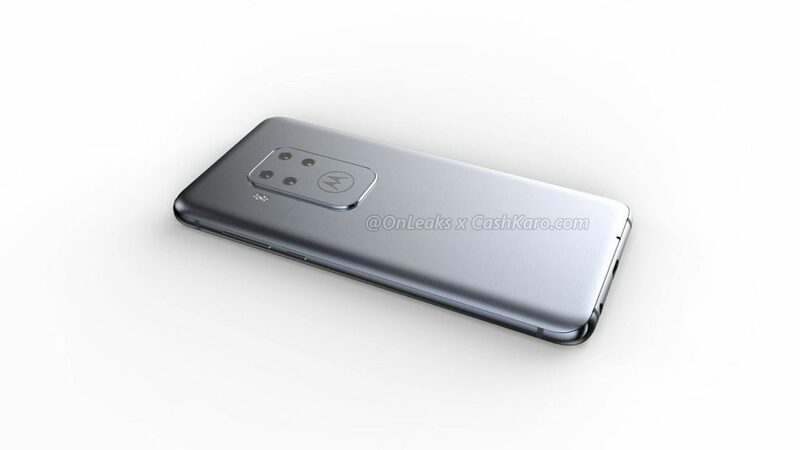 Rumors say that Moto will kill the Moto X series and start a new one, which may just be inaugurated by this model. I expect the quad camera to include a telephoto cam, a Bokeh cam, an ultra wide one and a regular camera. Be sure to also check out the video below.